Surprise! It’s not always gonna be cats! Well, truth be told it will be mostly cats. But today it’s Paris Hilton! This would have been the shirt of 2005. 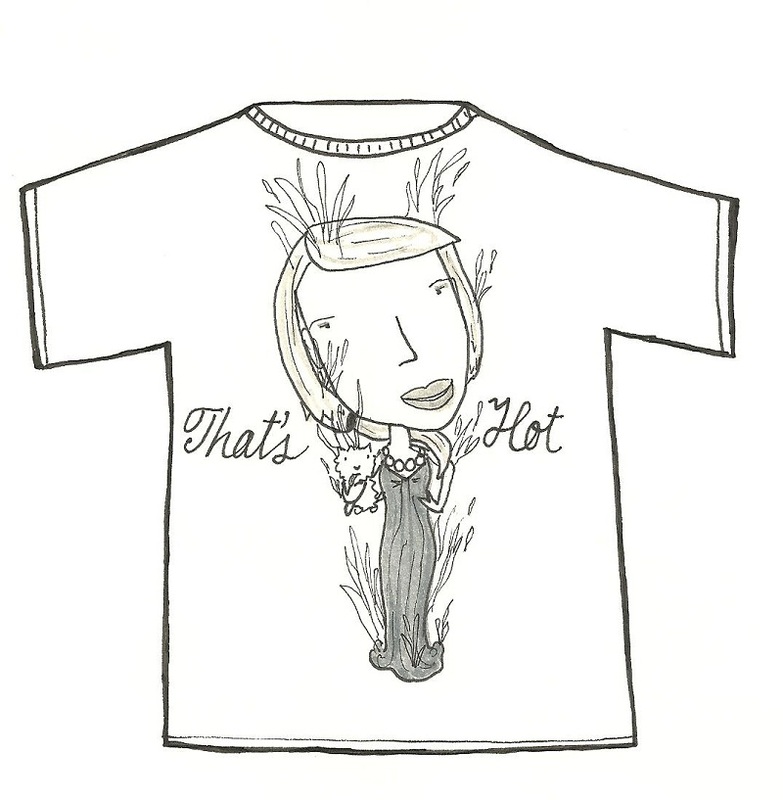 So I was talking with my brother the other day and somehow we got talking about his brilliant t-shirt idea that would have been a big money maker back in the mid-2000s*: Paris Hilton with “That’s Hot”…but she’s ON FIRE! So it’s literal. And not just metaphorical. So she’s hot because she’s really in flames. Get it? Yeah, that’s our family’s sense of humor. 🙂 So anyway, here is my version of what that shirt might look like. Also interesting is that I have a human AND a dog in this drawing…I totally tweeted that even if you didn’t like cats this blog would be worth your time. See? I don’t lie. *Another interesting fun fact I will share today because it has caused me much grief and anxiety. So I took my education seriously and prided myself in doing well and getting (if I do say so myself) fantastic grades. Well, I took a class on the history of education and this instructor was awful at telling us what she expected, yet graded us harshly and with great detail on the details she failed to mention. Our exams would be short answers where she just said to tell her everything we knew. And that never really amounted to enough in her eyes (*irritated* Just tell us what you wanted us to learn and share back with you, please…i have a GPA to worry about here. I know, not the right attitude for an educator, but whatever; we’ve all been there). So one of her biggest pet peeves was the improper use of nomenclature for decades and centuries. Because she harped on this, I will share what I have learned with you today. To say 1900s refers to the decade 1900-1909. If you mean the time spanning from 1900 to 1999, you really mean the 20th century. My mom said I needed to get some good drawings up here. I hope this counts.